Parent Element name is “Movie”. This Element have attribute, which is “name” and attribute has a value “RaOne”. This Element has a text “Going to release in Dec2011″ which is Text Node. The element has two child nodes: Actor and Production which are known as Element Node. 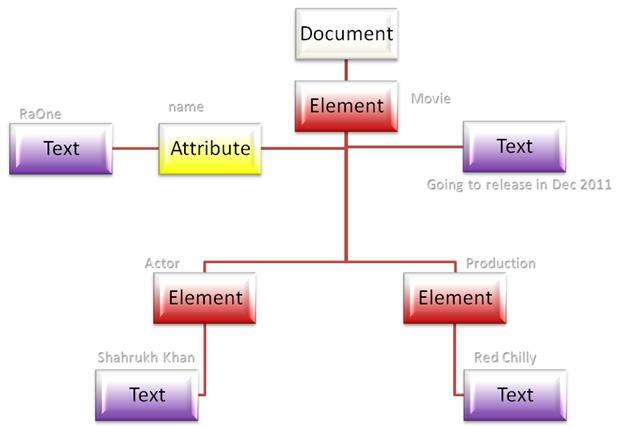 Element “Actor” has text node “Sharukh Khan” and Element “Production” has text node “Red Chilly”.